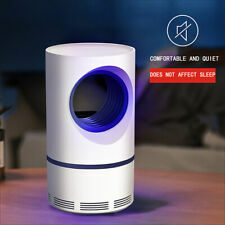 Photocatalytic mosquito killer, 360 degree wraparound. High mosquito capture rate, healthy and efficient. Check at least 24 hours after use. Prevent escape, comfort and mute, suitable for mother and baby. Insect hunting as sport has entered the 21st century with this fun, new, non-toxic device. A miniaturized shotgun effect is generated through this ingenious design. 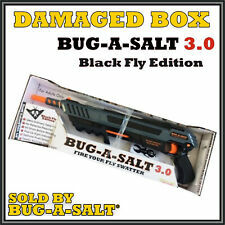 Ordinary table salt is utilized as a lethal projectile with an accuracy range of within 3 feet. 25 YEARS EXPERIENCE HARVESTING LADYBUGS, BUY DIRECT ! Optional Modes: Mosquito zapper& Lighting/ Mosquito zapper only. 45 °slope design, Mosquitoes automatically slipping off, no need to clean up the mosquito zapper. 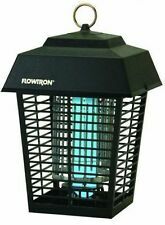 2 X Mosquito Zapper Lamp. Mosquito kill range up to 30 square. (a.k.a. brown rat, house rat, gray rat, wharf rat or sewer rat). No Touch Rat & Mouse Bait. The roof rat is found in warm, tropical and semi-tropical climates. Just One Bite II Contains Bromadialone. 005%. 20 gallon barrels with handles and removable/lock-tight lids are easily maneuverable and stackable. Lids have good seals. Barrels originally used for FOOD GRADE materials and are clean so sanitize and use! Use a screwdriver to remove the screws in the base tray of the Bug Zapper to clean and empty the tray, and easily place tray back on and secure with screws. High Safety: Scientifically designed to operate smoothly, yet plastic shield protects users upon touching the unit. Trending at $35.10eBay determines this price through a machine learned model of the product's sale prices within the last 90 days. This product is specially formulated and flavored to replicate the grains and flavors which rats and mice feed on. Use indoor and outdoor. Just One Bite is an aggressive poison for rodents and other animals, so keep away from children, pets, and non target animals. Mosquito Dunks 20 per card is a larvae ide that kills mosquito larvae only. Dunks are harmless to beneficial insects, pets, birds, fish or wildlife. Each Dunk covers 100 square feet of surface area. EASY TO USE: Simply plug in the device with the provided adapter or insert batteries, apply a small amount of bait, such as peanut butter, etc., then place the Fimax Electronic Rat Trap at the desired location and power it on. 25 YEARS EXPERIENCE HARVESTING LADYBUGS, BUY DIRECTLY ! Full Spray - 2 Gpm. Ideal for application where obstacles or terrain prevents spraying with conventional booms. Includes adapter to connect to 11/16 nozzle bodies. Feminized Seeds (Packs of 3) - 9 Strains - YOU PICK - Big & Healthy! All seeds are bred in CA & CO. No international stepped on junk that are in so many seed banks. You will receive a total of 3 seeds per order. Choosing Seeds . This can be done under the. Seeds will be selected at random if you do not choose. Set of 100 new pots. Fairly rigid sides and lightweight. 3.5" square at top; 3.5" deep. Press Fit Pot. Item to treat your pest so feel free to ask before you buy. Warranty issues need to be taken directly to the manufacturer. Suspend SC is an advanced-generation pyrethroid that fights more than 50 pests. 1 x Mosquitoes Killer. If you received your item and you are satisfied with it. Lower power consumption. 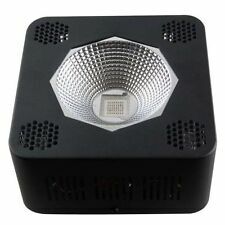 Can be used in 110V (UL) or 220V. Set of 96 new black plastic pots. 32 of these pots fit in a standard 1020 tray. Fairly rigid sides and lightweight. 2.63" square at top; 3.5" deep. Press Fit Pot. Set of 5 new white plastic hanging baskets. Inside saucer. Contrac® All-weather Blox® Rodenticide is a multi-edged, single feeding Rat and Mouse bait. It is formulated with an optimal blend of food grade ingredients and low wax to yield a highly palatable, weatherable bait that is very attractive to rodents. Resolution: 0.01pH. Accuracy: ±0.05pH. Portable Design:Handheld pen style and compact carrying case makes it conveniently fits in your pocket or bag and goes anywhere. Applied range: the production and drinking of purified water, Electroplating liquid, Boiler water, Water in fish tank, Water of swimming pools, Photograph flushing fluid, Well water, Deep phreatic water, Laboratory, Aquaculture, Food processing, etc. "Advion Syngenta Cockroach Gel Bait ,4 Syringes Pest Control"
Gardening is a rewarding hobby, with tangible benefits and results in the form of beautiful flowers, delicious fruits and berries, and healthy vegetables. This hobby can be adapted to suit your circumstances and surroundings. Finding the right gardening supplies for your project will help ensure a successful harvest. What are some tools every gardener needs? Gloves for protecting your hands from any damage as well as from any compounds that could cause irritation. Hand trowel for gently working around plants and seedlings to remove weeds and separate or move plants. Spade for digging larger holes for plants and for distributing soil and compost to your garden. 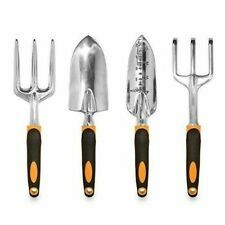 Hoe for turning the soil in your garden as well for cutting out and removing invasive weeds, such as dandelions and choke weed. 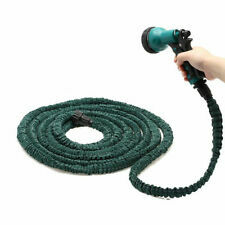 Hose with attachment, such as a hose with a rain wand or an attachable sprinkler, for watering your plants and seedlings. What supplies do you need for hydroponic gardening? Hydroponic gardening is a unique way of growing plants without soil. Instead of dirt, plants are grown in a water-based solution that is enriched with the necessary nutrients and minerals to support optimal growth. 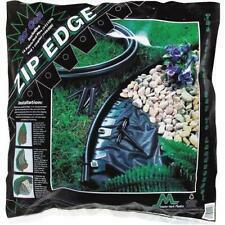 Structure for the root system in the enriched water solution is given by inert materials such as pebbles or peat moss. A water pump to circulate the water-based nutrient solution and to circulate air as well as reservoirs for the solution. Grow trays for the plants as well as grow lights; when a hydroponic garden is set up indoors, the plants need a source of light for photosynthesis. Growing nutrients to mix into the water-based solution, a timer for the water pump or the ventilation system, and a pH test kit to check for the correct pH balance in your system. How do you kill pests in an organic garden? Natural barriers and repellents such as cedar, peppermint, pennyroyal, and cayenne pepper. Using beneficial insects such as green lacewings or praying mantis that prey upon invasive garden insects. Biological pest control such as using beneficial bacteria that is harmless to the crops but sickens or kills insects. Using common home products such as boric acid or citric acid, like that found in lemon or lime juice, to repel or kill invasive insects.